Lancelot was born in Gamblesby on 20 July 1824 and was baptized in Addingham Parish Church in July of that year. His parents were Lancelot Smith and Elizabeth Westgarth. He was the fourth of ten children, the second son. 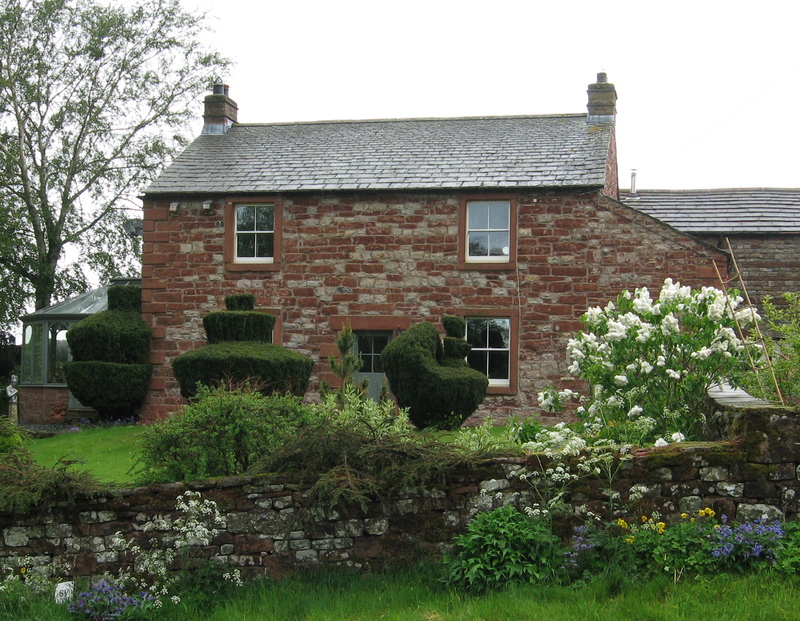 Lancelot, and his brothers and sisters, were all born in Gamblesby in the house his father Lancelot owned in the village. Although his parents were staunch Methodists, the Smith children were all baptized in the local Anglican church. This practice was probably quite common among English Methodists at the time when Methodist ministers did not have authority to conduct baptisms or marriages and Methodist churches did not have graveyards. 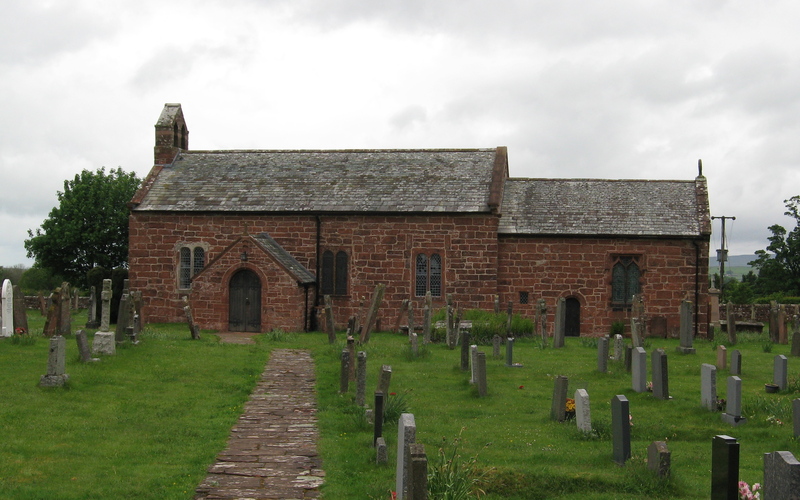 When Lancelot was born, I believe there was a Methodist chapel in the village. Gamblesby is in the Anglican parish of Addingham; the parish church is in Glassonby, an even smaller village two miles away from Gamblesby. Lancelot grew up in Gamblesby where his father was a yeoman farmer with a small property. In 1848, Lancelot’s older brother John died at the age of 25 so Lancelot then became the eldest son in the family. In early 1851, when Lancelot was 26 years old, the Census shows he was a farmer living in Gamblesby with his older sister Hannah, who was the housekeeper, his younger brother William, aged 14, who was still at school and his young cousin Benjamin Salkeld, aged 17, who was a “landed proprietor under trustees”. The rest of the family was elsewhere. Lancelot may have been managing the Salkeld property as well as the small Smith freehold property in Gamblesby while his cousin was a minor. Benjamin’s mother Mary and Lancelot’s mother Elizabeth were sisters. It seems most likely that the Smith family (parents and children) moved to Ireland in 1852 or 1853. So Lancelot would have been about 28 years old when the family moved to the Cashel area in County Tipperary. As the eldest son as well as being above majority age, he would have had a significant say in the family’s decision to move and become tenant farmers in Ireland. By 1856, “Launcelot Smyth” was listed in the earliest available valuation records as being the tenant of a farm of 242 acres in Rathcoun townland near Cashel. By 1860, “Launcelot Smith” was renting an additional 99 acres from the same landlord in a nearby townland called Shanballyduff. 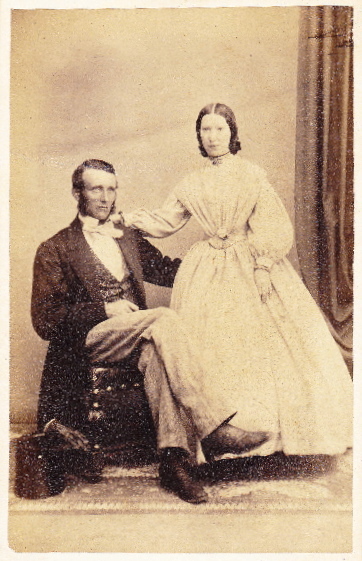 On 18 June 1862, Lancelot married a doctor’s daughter from Cashel called Elizabeth Upton – known as Eliza. They were married in Cashel Cathedral Church by the Dean of Cashel, Dr. John C. MacDonnell. The two witnesses at the marriage were William Smith (probably Lancelot’s brother) and William Ryall. Lancelot and Eliza had eight children, all of whom survived to adulthood. The first six children were born in Rathcoun, the last two in Corballis. Joseph Randal (Joe) Smith, born 1875. In late 1870 or early 1871, Lancelot and Eliza moved with their six young children to a farm in County Dublin, at Corballis near Donabate. Why did Lancelot move from Cashel? One family anecdote says that, when it came to renew the lease on the farm at Rathcoun, the landlord wanted to raise the rent after he saw the improvements that Lancelot had made. Apparently, this displeased Lancelot so much he decided to move. Why did Lancelot move to Corballis? His brother Thomas had taken a lease on the house and farm at Blackhall, County Meath, in April 1863. So Lancelot may have decided to find a farm closer to his brother. Even though Corballis is in a different county than Blackhall, the distance between the two places is not great – about 15 miles (25 km). Another possibility is that Lancelot was related to another Thomas Smyth or Smith who was already established as a farmer in the Corballis area in the late 1840s. The surname is common, of course, but it is interesting that some Smyths/ Smiths were already living in the townland of Corballis and there may be a family connection. Although Lancelot and his family left Cashel, they maintained close social links with a number of families in Tipperary. It is worth noting that the Mounseys and the Hodgins (two families that later had marriage links to the Smiths) lived in or near Nenagh, which is about 30 miles (50 km) from Cashel. The Smiths also had marriage links with the Brindleys and later with the Nicholsons, two English families related to each other in the Cashel area. Having moved his family to Corballis in County Dublin, Lancelot set about making his new farm prosperous and supporting his family of four sons and two daughters – soon to be three daughters by 1872. Unfortunately, on 5 March 1873, his younger brother Thomas died at Blackhall aged 39. Thomas left no will although he had significant assets; Letters of Administration were granted to Lancelot. So Lancelot took over responsibility for Thomas Smith’s property and effects. Among those assets was the lease for the Blackhall farm although Thomas probably had other business assets as well. It is my belief that Thomas Smith started a cattle sales business; maybe even before he arrived at Blackhall. It was certainly in existence by 1867. Ownership of this business (Smith, Griffin and Co.) may explain how Thomas was able to rent Blackhall and to leave an estate of nearly £3,000 when he died ten years later. When Thomas Smith died in 1873, Lancelot had seven young children ranging in ages from 10 to less than a year. Despite the need to focus on making Corballis profitable, I think he was determined to hold onto the farm at Blackhall as well. He must have kept the auctioneering business running too, perhaps with partners, because it continued to belong to the Smiths for a long time to come. Rent receipts for the Blackhall farm show that, in June 1874, the “Reps of Thomas Smith per Mr. Lancelot Smyth” paid the half-year rent owed of £223 8s 10d to William Murphy of Ballymaglassan Estate. “L Smith Esq., Rep of Thomas”, was still paying the rent in February 1879. In July 1885, the Ballymaglassan landowners sent a letter to Lancelot Smith saying the farm at Blackhall was now “out of lease” and he must give up possession or have a writ issued against him. Somehow this matter was resolved, presumably in another lease arrangement, because in March 1889 Lancelot Smith applied for a loan of £150 from the Commissioners of Public Works to improve the “lands of Blackhall Big”. Meanwhile, Lancelot was also active in the Donabate area. In addition to managing the farm at Corballis, Lancelot also started in 1878 to rent another farm in Beaverstown. For the following fifteen years, Lancelot managed three farms while his sons were growing up. By 1893, Lancelot Smith had retired from farming although he continued to live at Corballis. Around this date, Lancelot’s eldest son (also called Lancelot) took responsibility for the farm in Beaverstown. By 1895, his son William Smith had taken over the management of the farm at Blackhall. His third son John remained on the farm at Corballis. On 10 August 1899, Lancelot Smith died in Falmouth, Cornwall and was buried there. His wife Eliza continued living at Corballis until 1904 when she died. She is buried at Donabate. Although we do not have the will itself, I think this summary is a wonderful indication of the efforts made by Lancelot Smith to provide for his family. Three of his sons were established on good farms. His two youngest sons, Thomas and Joseph, were trained as engineers. In January 1900, Lancelot’s eldest son Lancelot arranged for a monumental brass in memory of his father to be affixed on the wall of the church in Donabate. Although all of his sons later participated as Vestrymen in the Anglican parish church in Donabate, Lancelot himself remained a Methodist. 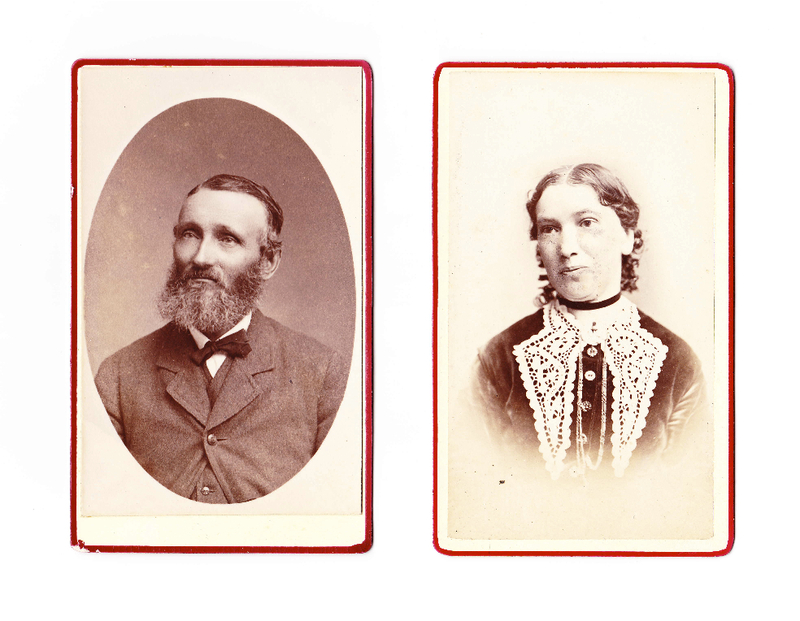 Soon after he arrived in Corballis, he became a Vestryman and a church warden but, by early 1873, he had decided not to participate as a Vestryman nor as a church warden due to “being in Connection with the Wesleyans”. It is not known where he attended a Methodist church; we do know from the Donabate church vestry records that he continued to contribute money for various purposes related to the upkeep of the church even though he did not participate in the meetings of the Vestry. Lancelot lived almost all his life during the reign of Queen Victoria and the heyday of the British Empire. When he moved to Ireland, he was moving within the United Kingdom so he would not have thought that he was changing countries. At that time, it would not seem to matter. However, moving from Cumberland where they were marginal yeoman farmers to Tipperary where they were tenant farmers did matter. It was a big decision for the Smith family to make. In my view, Lancelot’s hard work and persistence were essential to their survival and their later success in Ireland. There are references (mainly deeds) to the Smyth family of Corballis in the Cobbe archives. Thanks for the tip, Peader. Did you mean Smyth or Smith? I believe there were two different families in the area of Corballis with those two names. As far as I know, my family was always called Smith. As the Smyths are connected to Donabate from the 18th century there is no possibility of there being any connection to the Smith family which arrived in the parish a long time later. There are references to both families in the Cobbe archives. Thank you, Peader. That is helpful. Thanks for your comments about the Brown family. I know very little about them so additional information is always welcome. I did know that Helen’s full name was Helen Stewart Brown and her parents were Henry Brown, a merchant in Dungannon, County Tyrone, and Mary Stewart. I did not know that Henry was married twice. Thanks also for the information that Helen had a brother Norman. I appreciate you taking the time to contact me.